Hofstra University Library Special Collections. Photographed by Wendell Kilmer. 1964 was a historic year for Long Island not only for the presence of the famous New York World's Fair, but because of an ambitious expansion project of Hofstra University's campus. The previous year, Hofstra had become Long Island's first private university. With its burgeoning presence in Nassau County, Hofstra planned to expand across Hempstead Turnpike with a section called "North Campus." 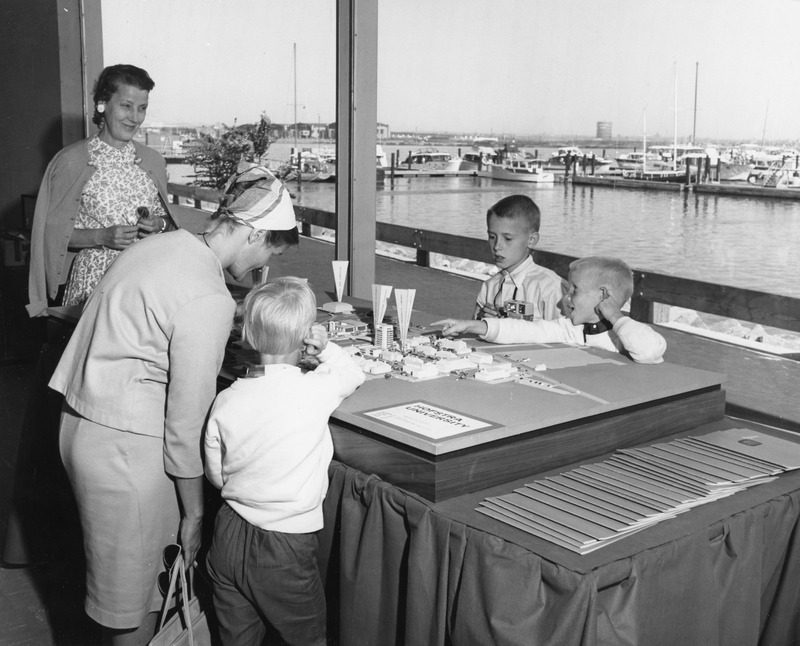 Shown here is the Hofstra University expansion project design model, on display at the World's Fair Marina on the fairgrounds in 1964. The Joan and Donald E. Axinn Library, home to Hofstra's Special Collections and Archives, can be seen as the tall building in the center of the model.